Sarna has a dense population spread across seven mountainous heavily industrialized continents. The other seventy percent of the planet is deep saltwater oceans. In 2176 Sarna was the site of the founding of the Sarna Supremacy, the first interstellar nation to form in the Capellan Zone. It was a party of explorers from Sarna who first made contact with the Capellan Holdfast in 2194, established by Jurdan Aris after his flight from the Terran Alliance, although their demand that Capella join the Supremacy was robustly rejected. Later, in 2367, the Sarna system was under the control of the fledgling Capellan Confederation. It would remain a Capellan world through 3025. By 3030, the Sarna system was under Federated Suns control, a core part of the Sarna March. By 3050, following the merger of the Federated Suns and the Lyran Commonwealth, the Sarna system was officially administered by the new Federated Commonwealth. It would remain a part of this state through 3057. The Sarna system returned to the control of the re-emerged Sarna Supremacy by 3057. It would remain within that state through 3058. The Capellan Confederation saw the return of the Sarna system by 3067 and would retain control through 3130. Sarna was targeted for invasion in 3029 as a part of Operation RAT by the Capellan Operations Command, the AFFS high command in the Capellan March of the Federated Suns. The invasion force consisted of the elite Fifth Syrtis Fusiliers RCT, the two regiments of the Crater Cobras mercenary command, and the Second Screaming Eagles, plus some fifteen assorted conventional regiments. The capture of Sarna was intended to serve several purposes; the COC were keen to impress First Prince Hanse Davion with their initiative, due to their perception of the Prince being largely unimpressed by the COC up to that point in the war; Sarna was also believed to be ideally located to act as a logistics center and jumping-off point for future invasion waves. Unfortunately for the Federated Suns forces, their information on the military defenses on Sarna was six months out of date. Sarna was a tricky target to begin with; although Operation RAT was proving to be a great success, Sarna was still three jumps from the front lines, and would require the invasion forces to stop and recharge twice in barren systems. Sarna also held little military value beyond being the administrative capital of the Sarna Commonality, and the COC didn't count on the rash actions of the Fifth Syrtis Fusiliers, who were angry over being left out of the earlier stages of Operation RAT and who were increasingly obsessed with exacting vengeance on the Capellan Confederation for the execution of Duke Michael Hasek-Davion by Chancellor Maximilian Liao earlier in the war. Sarna had diminished in importance during the Succession Wars as its industry and population dwindled, and at the time of the invasion, the population numbered a mere two billion, compared to the nine billion residents at the height of the Star League era. The Cobras and the other elements of the invasion forces based their initial drop zones on the information available, which indicated that only two of the five continents on Sarna - Jacarlos and Canoshal - were of any military importance, due largely to the bulk of Sarna's remaining industries being located on those two continents. At the time of the invasion the weather on both continents was hot and humid, and the mashes on Jacarlos had become pits occupied by predatory reptiles and hungry insects. The Cobras were assigned two drop zones, codenamed "Nova" and "Supernova"; Nova was a drop zone on Canoshal, near Nito City and a major communications area, while Supernova was close to the eastern coastal mountains on Jacarlos close to Canoshal. The Supernova drop zone was intended to place the Cobras south of the city of Catalonia and near Svoboda, an industrial center. The Screaming Eagles were assigned a dropzone named "Blackhole" near the city of Backtal, north of Nova on Canoshal, while the Fifth Syrtis Fusiliers were assigned their requested target - Drop Zone "Pulsar", close to Sarna, the planetary capital city. The attack on Sarna began inauspiciously when the Invader-class JumpShip FSS Nigel suffered a jump drive failure in the second barren system the invasion force were navigating en route to Sarna. The DropShips transported by the Nigel had to be reassigned to other JumpShips, and engineers from other vessels transferred to the Nigel to help with repairs. The invasion force pressed on towards Sarna, leaving the Nigel behind to catch up later, and didn't learn until months later that the Nigel was lost in an explosion that killed all those still aboard her. After arriving in the Sarna system, the aggressive behavior of General Gordon Hartstone, the combat commander of the Fifth Syrtis Fusiliers, combined with a lack of military intelligence about the garrison on the planet cost the invading Federated Suns forces dearly. Hartstone had his DropShips accelerate towards Sarna at high speed, faster than the DropShips transporting the other forces, intent on arriving two days early and thereby giving his Fusiliers the chance to make their mark in the invasion. What the invasion forces were unaware of was that all four regiments of McCarron's Armored Cavalry were on Sarna, and the Fusiliers dropped in their midst. The initial landing zone was intended to be just north of the Gray River, but the proposed landing site proved untenable due to heavy mud and floodwater left over from local flooding, forcing the Fusiliers' DropShips to ground on higher ground to the northwest. As the Fusiliers deployed, the empty DropShips in orbit detected more than a hundred aerospace fighters converging on the Fusiliers position, forcing the DropShips in orbit to land on Sarna after destroying the defending AFFS aerospace fighters. The Capellan fighters then began an intense strafing and bombing campaign, savaging the Fusiliers attached aerospace wing and ground forces. The Second and Third Battalions of the Fusiliers were subjected to intense fighter attack with heavy casualties, while the First Battalion was harassed by fast-moving Savannah Master hovercraft. Even with supporting fire from the grounded DropShips, the Fusiliers losses were catastrophic; after shattering the three 'Mech battalions with aerospace forces and ambushes and leaving just a company of Fusilier 'Mechs fleeing into deep forest under the cover of forest fires behind them, the Big Mac used their aerospace fighters to destroy the bulk of the Fusiliers ten supporting regiments, with just two regiments surviving. Ten of the twenty DropShips that transported the conventional forces to Sarna were destroyed; the crews of six of the destroyed DropShips, the FSS Calona, FSS Deborah, FSS Hasek, FSS Haversham, FSS Minos and FSS Parker, could have survived if they had abandoned the Fusiliers, but instead chose to fight until destroyed. The Cobras and the Screaming Eagles were still on approach to Sarna when the Fusiliers were destroyed, and were faced with an invidious choice; Sarna was obviously a brutal trap, but aborting the invasion would leave them in breach of contract, placing any future employment in jeopardy. The commanding officers of the three regiments including Westrick decided to press ahead with the invasion, but to alter the plans given to them by the COC in the hope that they could hold out long enough for reinforcements to arrive. All three regiments dropped at the Blackhole DZ, two hundred kilometers away from where the Big Mac had destroyed the Fusiliers, after their DropShips made multiple in-flight course corrections to confuse the Big Mac's fighters. The drop was successful, with the mercenaries arriving on Sarna on the 29th of May and swiftly destroying the local militia forces near Backtal, securing the landing zone to enable their attached conventional forces to deploy. Narrowly avoiding a hidden minefield, Westrick's Black Cobras secured a weapons factory near Backtal after surprising the defending militia forces before the munitions stored there could be destroyed. Fighters from the Big Mac subsequently destroyed the factory complex, but not before the Black Cobras had secured significant quantities of autocannon ammunition and vibrabombs. With ComStar enacting a communications interdiction in response to the invasion of Sarna, the other DropShips and JumpShips in the system that had transported the invasion force acted on the last messages they received - false messages apparently indicating that everything was proceeding according to plan - and left the Sarna system, leaving the mercenaries unsupported. The Big Mac, believing that the mercenary drop was a decoy intended to lure them away from the capital, maintained a cautious defense until August, when it became apparent that the mercenaries were unsupported. In late August the four regiments of the Big Mac arrived near Backtal, where the Cobras and Eagles had been nervously awaiting a rapid demise; with the Big Mac finally attacking, the two mercenary commands elected to make their last stand in a region known as Graves Hollow, a forested valley some twenty kilometers in length, with numerous locations where strongholds could be fashioned or ambushes launched. The Black Cobras were the first unit to engage the Big Mac, battling the Third McCarron's Armored Cavalry after the Third stumbled across the defensive positions put in place by the Second Capac Infantry regiment. Colonel Westrick moved his forces swiftly along two parallel roads before dispersing them into the woods when the Third noticed them, turning the battle into a deadly free-for-all amidst the forest, where the two 'Mech forces fought amidst the huge trunks of the Saman Pine trees. Westrick's tactics allowed the Black Cobras to hold out long enough for the First Kluane Assault Tank Battalion to join the fray, with the Demolishers and Manticores of the First persuading Colonel Linda Chandrasekar of the Third to order her regiment to retreat. The battle fought by the Black Cobras was the first of many to be fought between the mercenaries and the various Big Mac regiments, losing roughly a quarter of their forces by early December, whilst inflicting at least as much damage on the Big Mac; despite the lack of word from the COC, the morale on the mercenary side was still high, until the Big Mac managed to slip through a lightly-guarded portion of the hollow to surround the mercenary forces. The Cobras and Eagles began what they thought would be the last battle, only to be saved by the appearance of more AFFS forces. Two of the premiere RCTs from the Davion Brigade of Guards, the Davion Heavy Guards and the Davion Light Guards, had arrived with no clear idea of the situation on Sarna until they received frantic messages from the mercenaries. 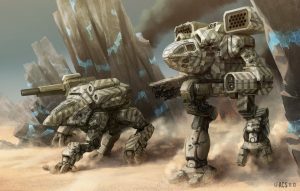 The two Guards regiments skipped the usual planning stages for a drop and left their DropShips on the next orbit, a dangerous tactic that saw many of the Guards' 'Mechs scattered, but with the bulk of their strength behind the Big Mac regiments. With the Guards' conventional forces descending by DropShip, Colonel Archibald McCarron chose to save his regiments rather than try and finish the Cobras and the Eagles, staging a swift, fighting retreat against the vengeful Guards for several weeks before managing to reach his DropShips and escape, less a regiments worth of 'Mechs and personnel. Sarna weathered the Jihad in relatively good shape; the Tengo Aerospace and Asuncion Industries facilities escaped damage, and with both the Sarna Military Academy and the Duchy Regional Training Center continuing to operate, with more cadets from the RTC entering the frontline CCAF than had been the case at the end of the FedCom Civil War. The Asuncion Industries factory established at Gerriado on the Borah continent had been set up in 3074, at the height of the Jihad, producing RetroTech Wolverines as part of the drive to provide any form of equipment for the CCAF as it fought against threats to the Confederation. By 3079 the plant had been operating for five years, and with the Jihad winding down and a renewed focus in the CCAF on quality equipment, Asuncion were undergoing an internal evaluation on the profitability of the line as part of the decision-making process on whether to keep the plant operating in the future. In contrast, the Tengo Aerospace plant was not only continuing to operate around the clock producing a mix of aerospace fighters and DropShips, but was also rumored to be developing a new Q-ship variant of the venerable Mule to support future clandestine CCAF operations. Sarna has five continents named Borah, Canoshal, Jacarlos, Oahu and Yanti. Backtal: a city located on Canoshal and site of the Tengo Aerospace manufacturing facilities on Sarna. Bosporus: a city located on Jacarlos. Catalonia: a city located on Jacarlos. Gerriado: the location of the Asuncion Industries plant on Borah. Graves Hollow: a twenty kilometer-long heavily wooded valley near Backtal on Canoshal; site of a major battle during the Fourth Succession War. Gray River: a notable river on Jacarlos that runs close to the capital city, Sarna. Moncona: a city located on Jacarlos. Nito City: a city and important communications hub, located on Canoshal. Oahu: a city located on the largest island in a small island chain east of Sarna and Svoboda, and south of Nito City. Sarna: the planetary capital city, located on Jacarlos. 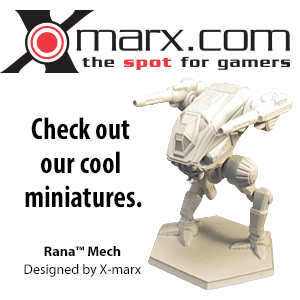 Sarna Martial Academy: a major military academy located in the planetary capital city, Sarna. Salomek: a city located on Jacarlos. Svoboda: a city located on Jacarlos and site of the Duchy RTC following the FedCom Civil War. Vasola: a city located on Jacarlos. The Chaos March sourcebook provides data that the distance from the jump point to the planet Sarna takes 9 days and a recharge takes 6 days. This information became outdated with the release of Handbook: House Liao. ↑ 1.00 1.01 1.02 1.03 1.04 1.05 1.06 1.07 1.08 1.09 1.10 1.11 1.12 1.13 1.14 Handbook: House Liao, p. 76, "Sarna"
↑ 2.00 2.01 2.02 2.03 2.04 2.05 2.06 2.07 2.08 2.09 2.10 2.11 2.12 2.13 2.14 2.15 2.16 2.17 2.18 2.19 2.20 2.21 2.22 Objectives: Capellan Confederation, p. 12, "Sarna"
↑ 3.0 3.1 Chaos March, p. 12, "Alliances"
↑ Chaos March, p. 13, "Alliances"
↑ House Liao (The Capellan Confederation), p. 12, "No Regrets, No Surrender"
↑ 14.0 14.1 20 Year Update, p. 23, "Federated Commonwealth Deployment Table"
↑ 15.0 15.1 15.2 Objective Raids, p. 17, "FedCom Deployment Table"
↑ 17.0 17.1 Field Manual: Updates, p. 33, "Capellan Confederation Deployment Table"
↑ 20.00 20.01 20.02 20.03 20.04 20.05 20.06 20.07 20.08 20.09 20.10 20.11 20.12 20.13 20.14 20.15 20.16 20.17 20.18 20.19 20.20 20.21 20.22 20.23 NAIS The Fourth Succession War Military Atlas Volume 2, p. 44-51, "Sarna"
↑ House Liao (The Capellan Confederation), p. 146, "Sarna Commonality"
↑ 22.0 22.1 22.2 Objectives: Capellan Confederation, p. 3, "State of the Industry at a Glance (Dec 3079)"
↑ House Liao (The Capellan Confederation), p. 125 - "Chandra Ling profile"
↑ 25.0 25.1 First Succession War (Source Book), p. 135, "First Succession War Deployment Table - CCAF"
↑ 28.0 28.1 NAIS The Fourth Succession War Military Atlas Volume 2, p. 45, "Sarna World Map"
↑ Field Report: CCAF, p. 16, "Citizen's Honored Profile"
↑ Chaos March (sourcebook), p. 12, "Unit Note"
↑ Field Manual: 3085, p. 34, "Capellan Confederation Armed Forces Deployment Table - 3085"
↑ Field Manual: 3145, p. 45, "Capellan Confederation Armed Forces Deployment Table - 3145"
This page was last edited on 12 April 2019, at 17:24.